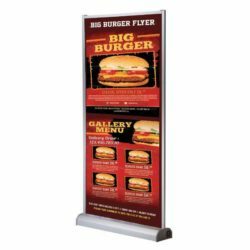 This silver anodized finish multi banner wall signs are perfect displays for 39-3/8 x 78-3/4 size banners. 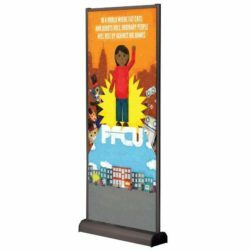 This wall banner has two side profiles that are in two pieces and collapsable. The base houses both the poster and side poles. 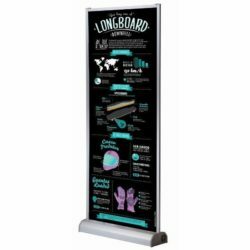 7.22″ is the max height for this multi banner wall. As both side printed banners can be used, this wall banner can be considered as single or double sided. 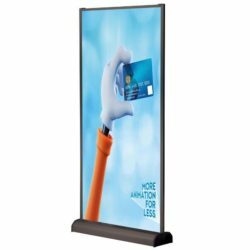 To seperate the spaces in one location or create a back banner wall, this wall banner is the right product. Many can be connected each other to extend the length of the banner. Top and bottom profiles feature clamps that hold the banner.